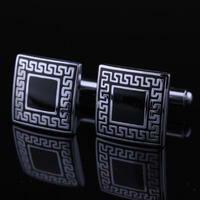 These cufflinks are ornamented kinda simply but effectively. 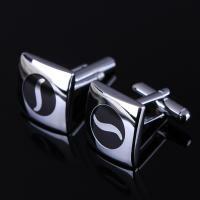 Cufflinks are made of surgical steel. 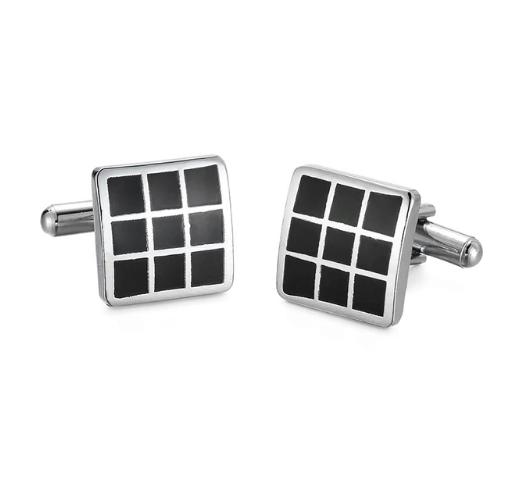 These cufflinks are square shaped and designed as a grid. 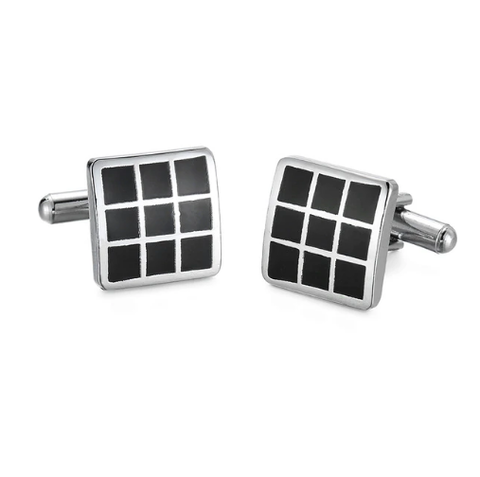 Fields inside the grid are black, the rest of the cufflink is silvered, surface is glossy. 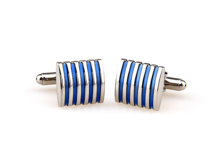 Cufflinks are an ideal present for men but even for women in opportunity of birthday, graduation ceremony, Christmas or Father's day. 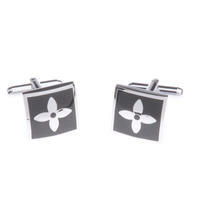 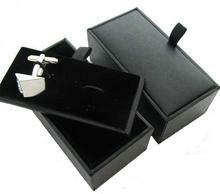 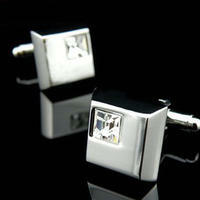 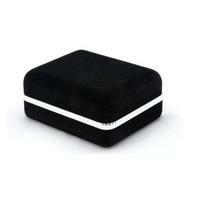 Cufflinks are appropriate jewellery for wedding days or another feast-days.